1 : 42000000 Levasseur, Victor. 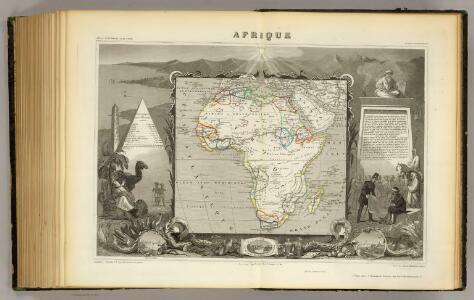 A new map of Africk, shewing its present general divisions chief cities, or towns, rivers, mountain &c.
1 : 7000000 Vivien de St Martin, L.
1 : 23500000 Stein, Christ. Gottfr. Dan. 1 : 7000000 Tanner, Henry S.
1 : 19008000 Johnston, W. & A.K. 1 : 29500000 Migeon, J.